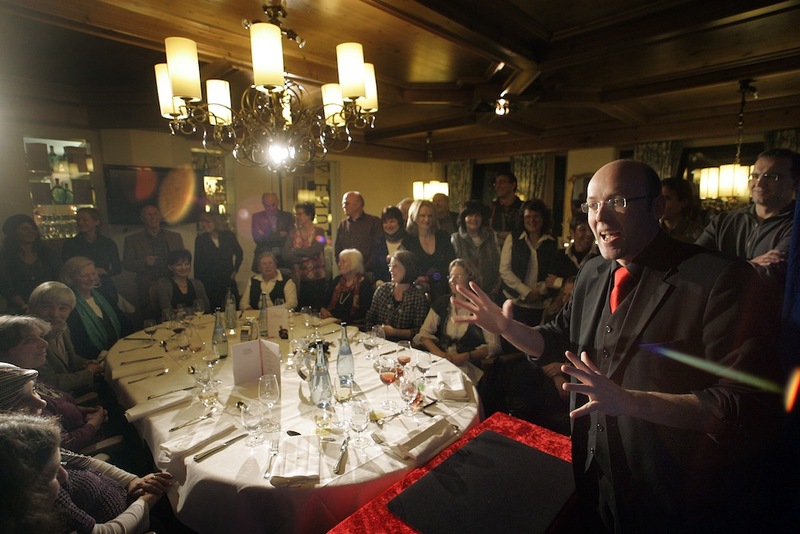 Experiencing magic - directly at the guests' tables or at receptions! 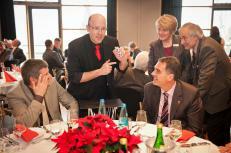 Close-up magic is the kind of magic, which is performed directly under the nose of the audience. It fascinates with visual and clear effects. 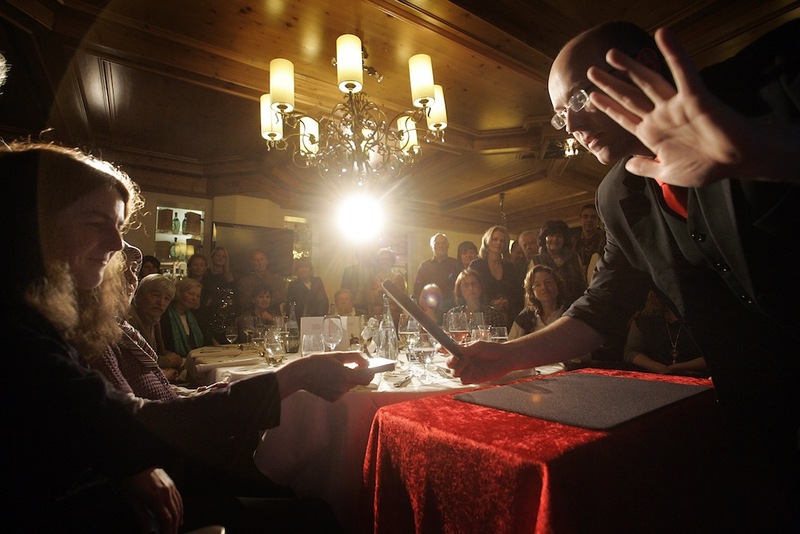 Usually, a spectator does not get the chance to watch the hands of a magician very closely or to examine the used props of the show. 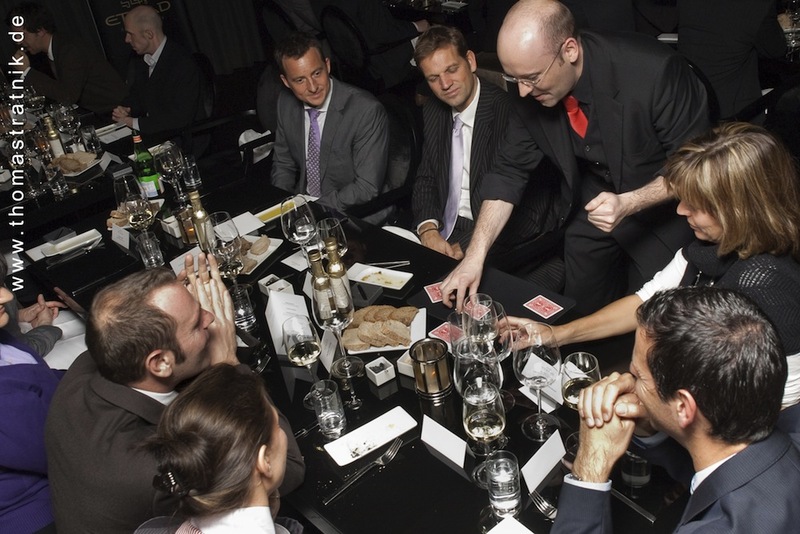 There is no stronger impact than magic, which happens in the spectators' hands. This form of enchantment can be used for occasions of various sizes. It does not need any high-tech stuff - it is just pure magic right at the fingertips. 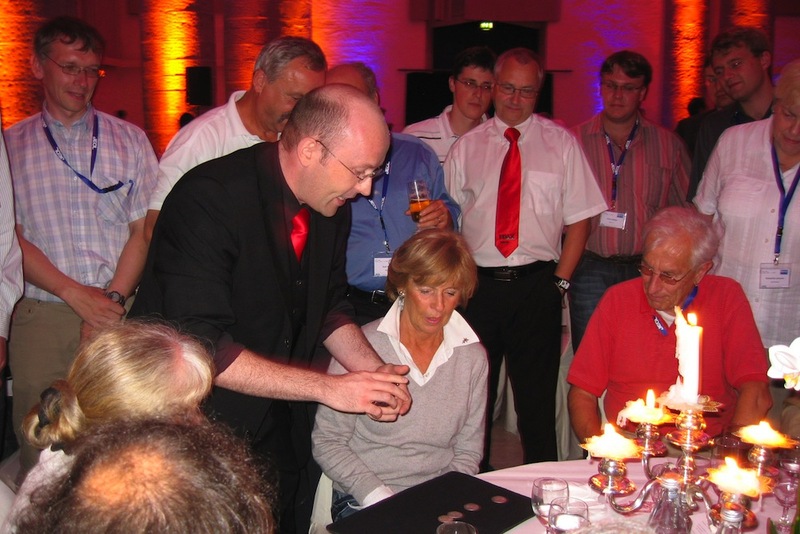 Close-Up magic can also be complemented by a stage show! 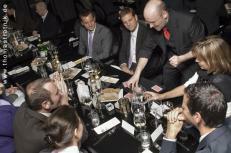 The spectator can have a look "behind the scenes"
Close-Up Magic can be extended by a stage show!